Barcelona Babymoon. 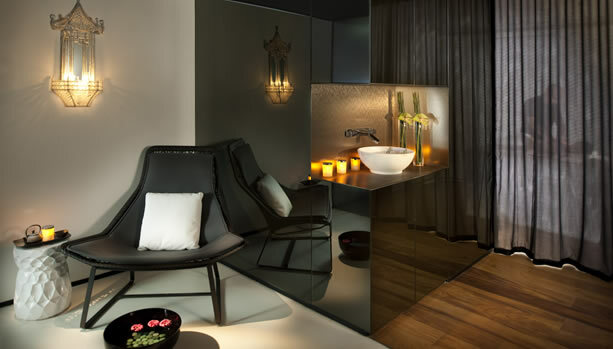 Enjoy your pre-baby moments with a Barcelona Babymoon at the exclusive Mandarin Oriental, Barcelona. 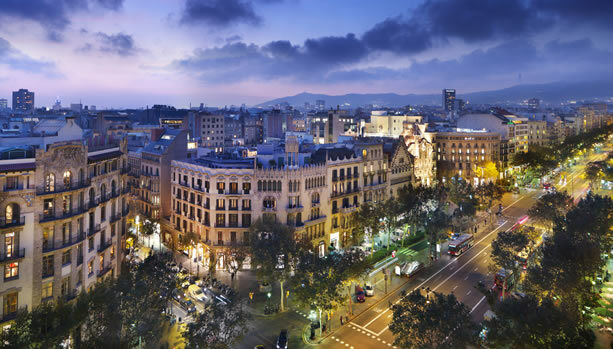 Located on Passeig de Gràcia, Mandarin Oriental, Barcelona is one of the city’s best-loved hotels. 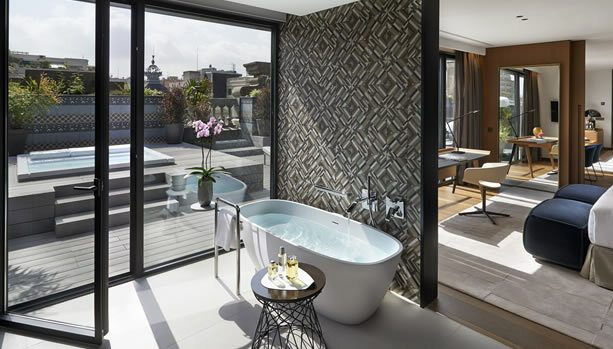 Enjoying stunning views over the gardens or the modernist landmark Casa Batlló, this luxurious hotel offers a wonderful mix of style and five-star luxury. 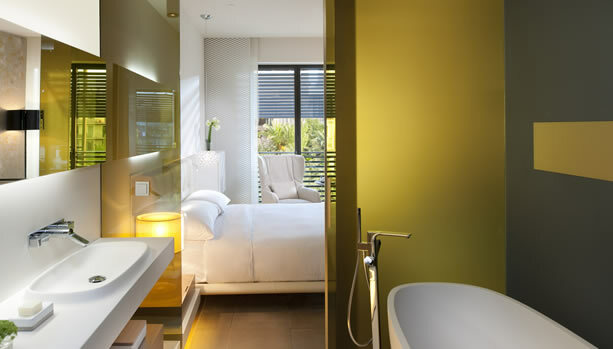 Chic interiors, gourmet Michelin star dining and a relaxing spa await expecting couples on their Barcelona Babymoon. 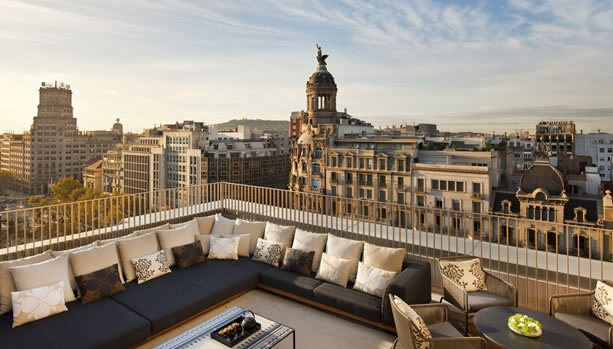 Mandarin Oriental, Barcelona offers avant-garde luxury at the city’s most exclusive address. 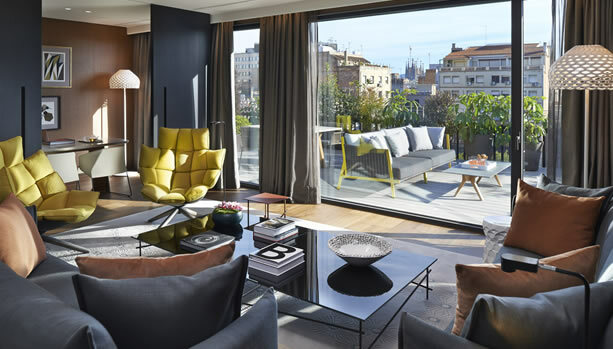 Contemporary yet timeless in design, Mandarin Oriental, Barcelona is an intimate 120-room luxury hotel with highly stylised, spectacularly creative interiors by Spanish-born designer Patricia Urquiola. 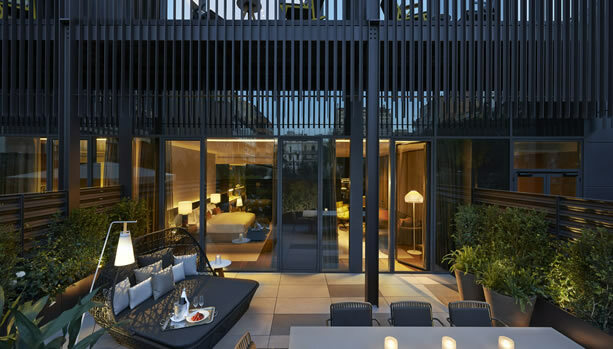 This innovative hotel pairs the legendary hospitality of Mandarin Oriental Hotel Group with the inimitable character that has made Barcelona one of Europe’s foremost travel destinations. 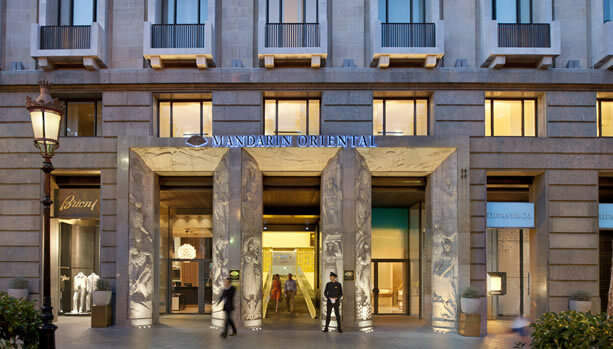 Mandarin Oriental, Barcelona is ideally located on Passeig de Gràcia, Barcelona’s most prestigious address, at the very centre of the city’s commercial and entertainment district. The property provides easy access to the city’s finest shopping, dining and cultural venues and is a short walk from many major tourist attractions. 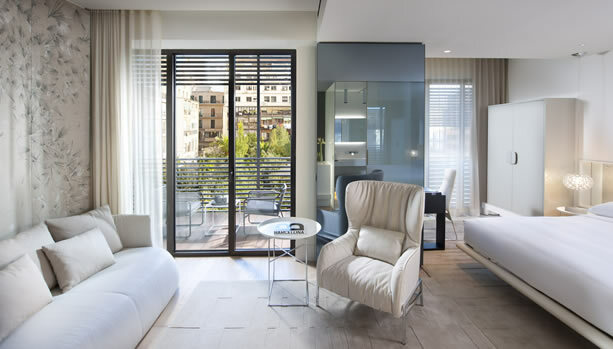 From the hotel, guests are able to stroll amongst the city’s celebrated promenades and architecture and enjoy the attractions of the famous Las Ramblas and the Gothic Quarter. Barcelona’s many museums, churches and parks are all close at hand and two of the most celebrated buildings by the city’s famous architect, Gaudí, are just a stone’s throw from the hotel. In addition, Barcelona international airport (El Prat) is a mere 20 minutes by car. The luxurious guestrooms are amongst the largest in the city and include 120-spacious and exquisitely designed rooms and suites. Views are either over Barcelona’s most stylish boulevard, Passeig de Gràcia or the hotel’s landscaped interior terrace, the Mimosa Garden. A number of guestrooms have a balcony or terrace, from which to admire the neighbouring modernist façades. 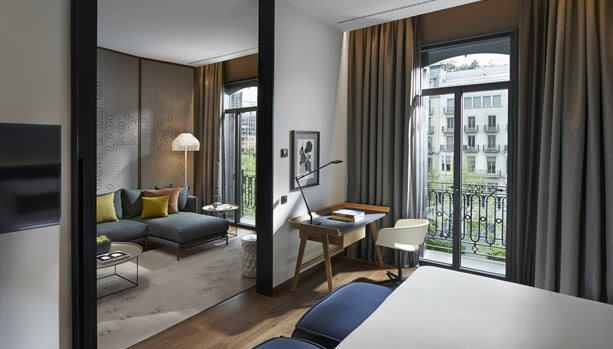 Each of the stylish guest rooms and exquisitely designed suites will provide guests with highly sophisticated in-room entertainment systems, reflective of the Group’s oriental heritage Mandarin Oriental’s renowned customer-centric technology. 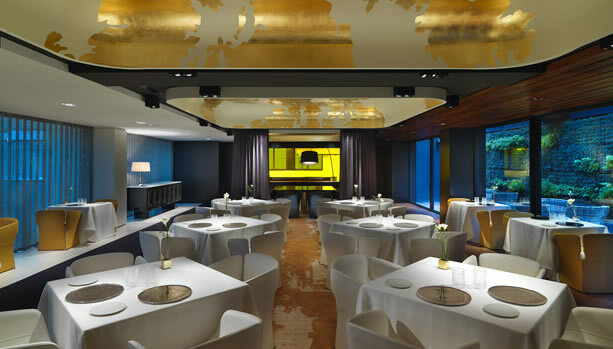 Culinary talent and exquisite design converge in Mandarin Oriental, Barcelona’s signature restaurant, Moments awarded with two Michelin stars. Renowned Chef Carme Ruscalleda, the winner of seven Michelin stars, is the Director of Moments which offers one of the most innovative culinary experiences in the city. The Moments kitchen is headed by Chef Raül Balam, Ruscalleda’s son, who has been working with her for many years. 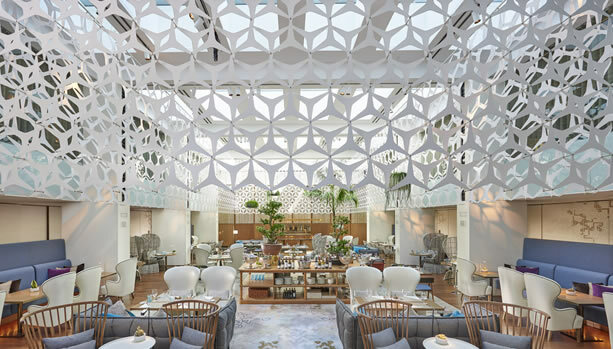 Blanc is set against a dramatic white backdrop, under vaulted skylights and it offers all-day dining. Blanc is the ideal place to savour Mediterranean cuisine with Asian influences. Fresh seasonal products form the basis of its menu where contemporary specialities shine with Asian touches. 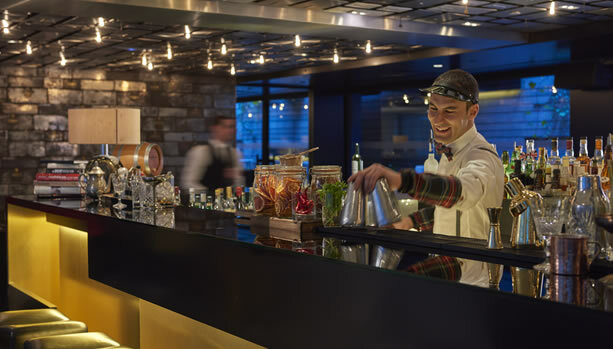 The 660 square metre open-air Mimosa Garden is the perfect spot for al fresco drinks and Banker’s Bar has become the city’s coolest rendezvous. Mandarin Oriental, Barcelona’s Terrat rooftop terrace features a spectacular dipping pool and offers guests the possibility of enjoying cocktails and snacks with the unique Barcelona skyline as a backdrop. 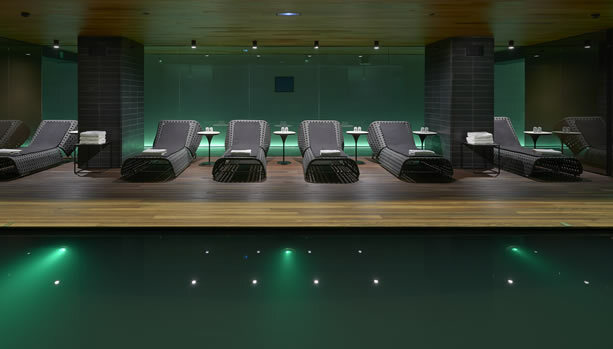 Designed as a haven of complete serenity, the highly acclaimed spa offers a wide range of holistic treatments and therapies. 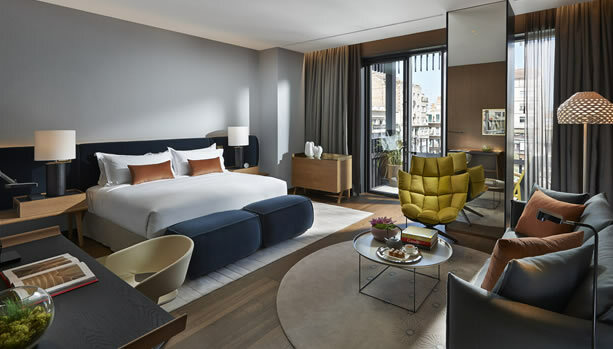 Mandarin Oriental, Barcelona is ideally located on Passeig de Gràcia, for the city’s finest shopping, dining and cultural venues and is a short walk from many major tourist attractions. Neighbouring boutiques include Chanel, Armani, Hermès and Loewe. In addition, Mandarin Oriental, Barcelona houses exclusive retail space on street level: Tiffany and Co., Brioni and Manolo Blahnik. 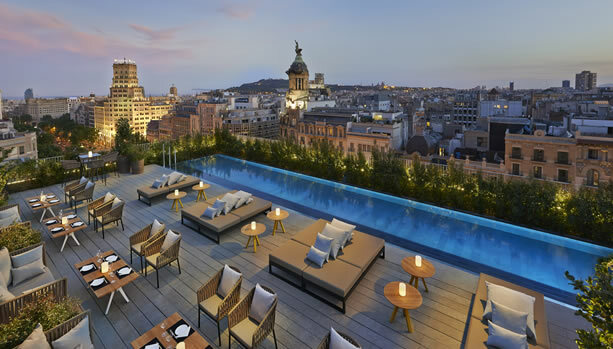 Ready for this luxurious Barcelona Babymoon at Mandarin Oriental, Barcelona?